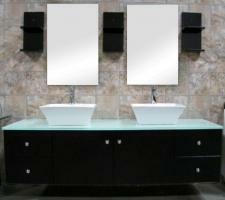 This double sink brings amazing style and creative functionality to the bathroom. The wall mounted style adds an eye catching spacious feeling. 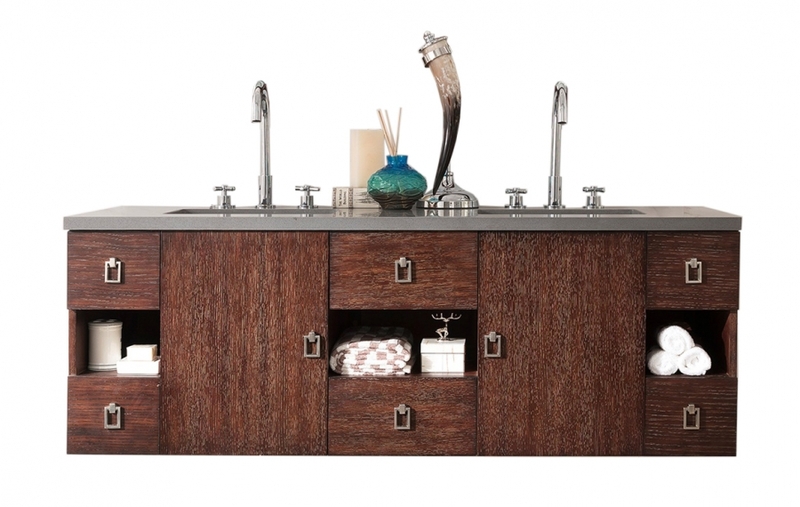 The base is configured to include two single door cabinets, six drawers and three open shelving areas in a unique layout that adds to the look as well as how the piece is used. This model has a coffee oak finish that shows off the natural beauty of wood grain. The hardware pulls are brushed nickel and have a fun geometric shape. This will be an amazing addition to the bathroom.